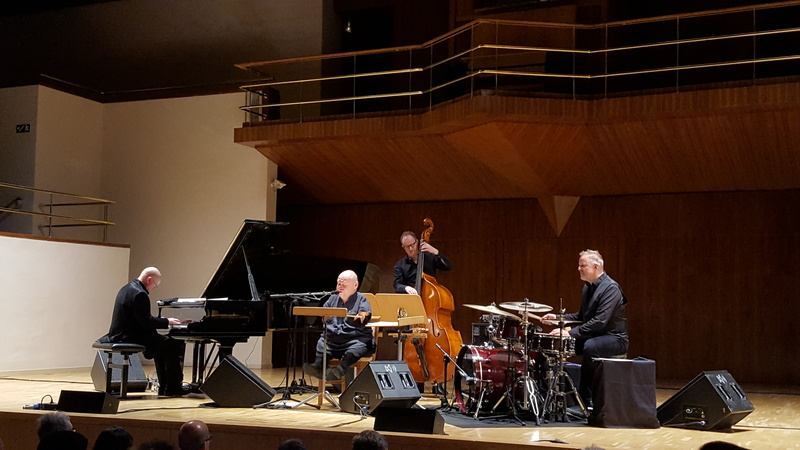 The month of June started great with a wonderful concert by Thomas Quasthoff and his trusted sidemen Frank Chastenier on piano, Dieter Ilg on bass and Wolfgang Haffner on drums – all band leaders in their own right and some of the best jazz musicians in Europe today. Thomas Quasthoff mainly sang the repertoire from his new big band album ‘Nice ‘n’ Easy’, arranged for the trio and as powerful and swinging as the album with the NDR big band is. Incredible vocal skills and great feeling, especially in the ballads, as well as some beautiful soli by the three musicians, made this evening a very enjoyable one, with John Lennon’s ‘Imagine’ one of the highlights of the concert. The mix of jazz standards and pop covers worked extremely well and offered a few surprises, like a funky ‘I can’t stand the rain’. Four musicians at the top of their game. 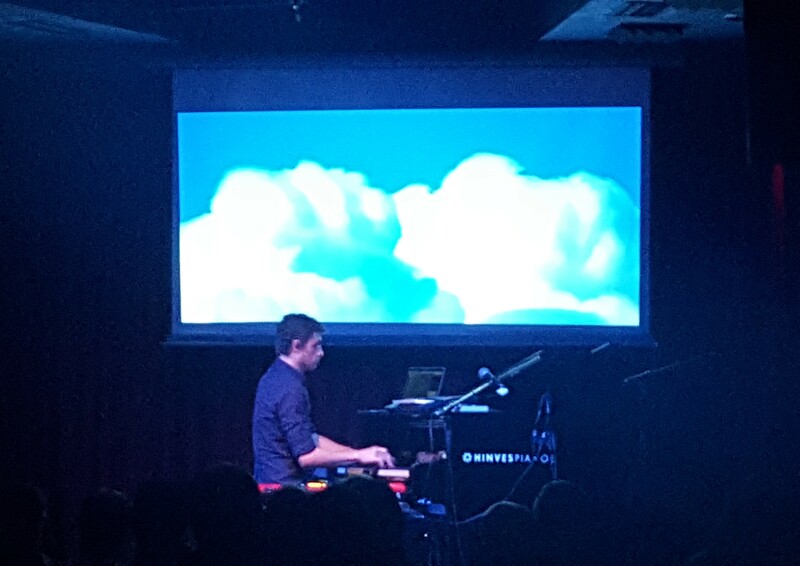 A few days later pianist Luciano Supervielle performed one of his captivating solo shows in Madrid – piano, keyboards, electronics, loops and samples and some wonderful video projections combined to an audio-visual treat. Supervielle performed music from his own recordings as well as some of his compositions for Bajofondo, the electronic Tango project he is part of. Beautiful little melodies in an ambient sound bed followed by grooving dance beats with a Tango influence and powerful piano chords … an eclectic mix that worked perfectly well with the prepared videos and had the audience captured and enthusiastic. Luciano said he is working on a duo project with famous Brazilian cellist Jacques Morelenbaum … can’t wait to hear this!! Norwegian poet and writer Lars Saabye Christensen’s poems from hotel rooms around the globe have been set to music by pianist, composer Ketil Bjornstad and are performed by him and singer Anneli Drecker – the perfect choice to give these words life and emotions. The music is simple and melodic to carry the meaning of the words and Drecker’s vocal delivery is as immaculate as one would expect from her, a long time musical companion of Ketil Bjornstad and a singer who is in high demand. Everyone who is travelling a lot will understand these poems and the included thoughts, fears and dreams. Captivating from beginning to end! Clarinettist Kühn, a legend in his native Germany and most of Europe, starts his new album with Joni Mitchell’s ‘Both Sides Now’ and immediately draws you into his world … a wonderful intro by pianist Frank Chastenier sets the tone for Kühn’s entry and his clarinet sounds melancholic and touching, telling the story. Beside Chastenier he has Lisa-Rebecca Wulff on bass and Tupac Mantilla on drums and percussion to lay the ground his improvisations can walk on and give him the space to express himself through his instrument. Great music by one of the best clarinet players around. Kat Edmonson is a very fine singer and a wonderful writer of songs and this new album must rank among the best she has done so far…story telling as it should be: little dramas, witty texts and the charming retro feel are all here to make this a special listening experience. The track ‘A Voice’ is just stunning and her singing incredible throughout the record, which has a touching tribute to Bruce Lundvall included … A voice to recognise immediately, a talent to write great songs – despite having a song titled ‘Not My Time’, I am sure this is exactly her time. Wonderful!!!! This beautiful and intimate record by one of Norway’s leading singers was recorded live at the Victoria Nasjonale Jazzscene in Oslo, in September 2017 and features Solveig on piano and vocals with the occasional help of Pal Hausken on drums and additional vocals and the Safari choir. The mix in repertoire from originals to standards and covers of songs by Tom Waits and Leonard Cohen works extremely well, as Solveig makes them all her own and gives them something new and individual. Powerful, touching and outstanding by any means! The Coherence Quartet is featuring Łukasz Kluczniak: alto saxophone, Robert Jarmużek: piano, Marcin Lamch: double bass and Grzegorz Masłowski: drums. The beautifully improvised music is a mix of originals and standards and is performed relaxed and with space for individual expression. This is a great jazz album, nothing less and the band deserves to be heard a lot more outside of their native Poland. Check them out! Haewon Moon was the singer in the Korean band Winterplay, whose recording ‘Songs Of Coloured Love’ I really enjoy. 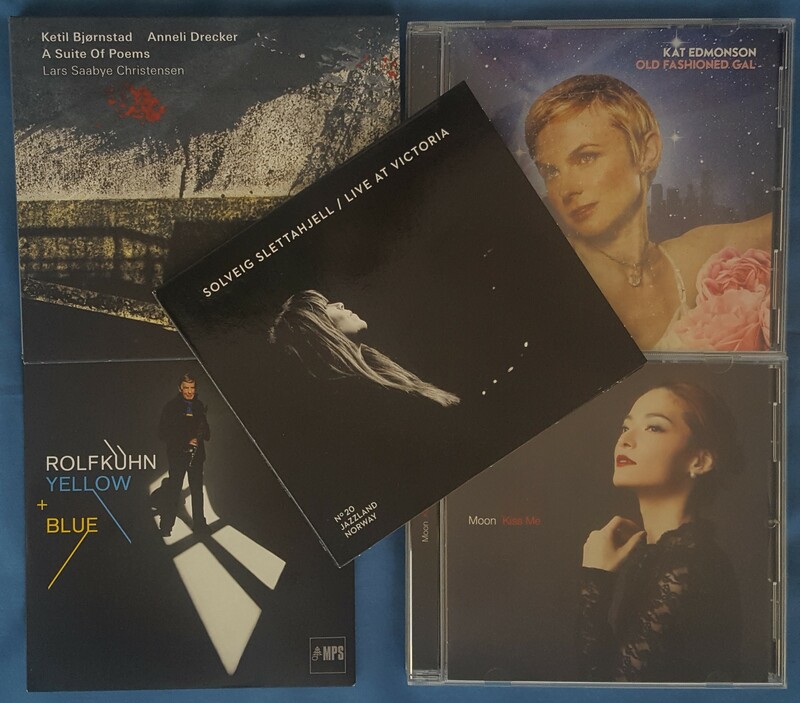 Now Moon has released her first solo album in Asia and it is worth a listen – immaculate singing on all tracks, beautiful arrangements of standards and fitting covers of songs by Sade and Daryll Hall make this a very interesting album. Top quality on every level!